A firm connected to the oligarch, billionaire Viktor Vekselberg, later paid Cohen $500,000 for consulting work. WASHINGTON — Donald Trump's personal lawyer, Michael Cohen, met with a Russian oligarch and discussed U.S.-Russia relations just 11 days before Trump was inaugurated as president, according to a person familiar with the meeting. 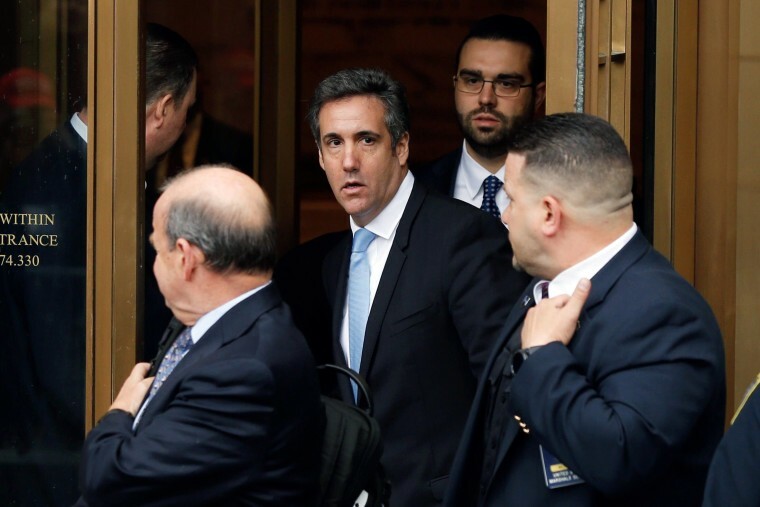 Vekselberg met with Cohen for about 20 minutes in Cohen's 26th-floor office in Trump Tower in New York , said the person, who spoke on condition of anonymity because he was not authorized to discuss the meeting publicly. The two men were joined by Andrew Intrater, Vekselberg's American cousin, who heads a New York private equity firm that manages financial assets for the Russian. The person who confirmed the January 2017 meeting said the discussions dealt with business and cultural relations between the two nations, but he would not characterize Vekselberg's point of view. Vekselberg has worked in recent years to improve U.S. tech and trade relations with Moscow. Intrater's firm, Columbus Nova, later paid Cohen $500,000 for consulting work. A lawyer for adult-film star Stormy Daniels has claimed that the money was routed by Vekselberg and Intrater to a Cohen shell company. That company, Essential Consultants LLC, was used by Cohen to pay off Daniels, whose real name is Stephanie Clifford, for her silence about an affair she claims she had with Trump, according to the lawyer, Michael Avenatti. Trump denies the affair. Cohen's finances are now under investigation by federal investigators in New York, following a referral from special counsel Robert Mueller, who is investigating contacts between the Trump presidential campaign and Russian intermediaries. Columbus Nova has said Vekselberg was not involved in the money transfer. Vekselberg was targeted in April with U.S. Treasury Department sanctions, which cited his ties to Russian President Vladimir Putin. The Trump Tower meeting between the three men was first reported by The New York Times, citing video footage and an interview with Intrater.